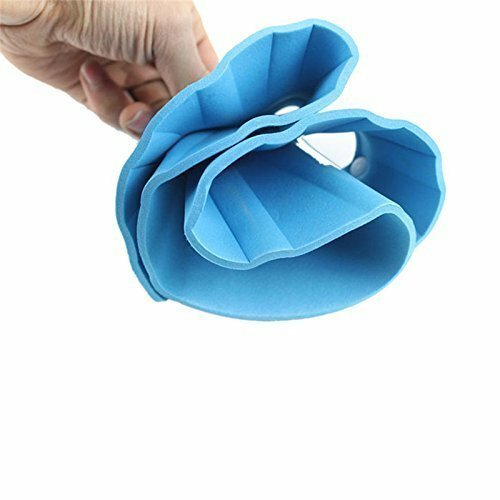 “This innovative designed god gift baby shower cap prevents soap and water from entering your babies eyes, while you shampoo their hair. apart from being a useful baby bathing accessory, it also excites the baby like a toy. adds fun to your baby bathing. its so lightweight that your baby won’t even feel she is wearing it. the material is soft and flexible. there is no hard or sharp edges. the size is adjustable through buttons. its fit for age group 0-5 years. How to Use Step 1: Place the cap on the head of your child. Step 2: Adjust the fit using the buttons on the cap. Step 3: Ensure the ears are covered by the side flaps. Step 4: Shampoo your child’s hair. Hang to dry after use. 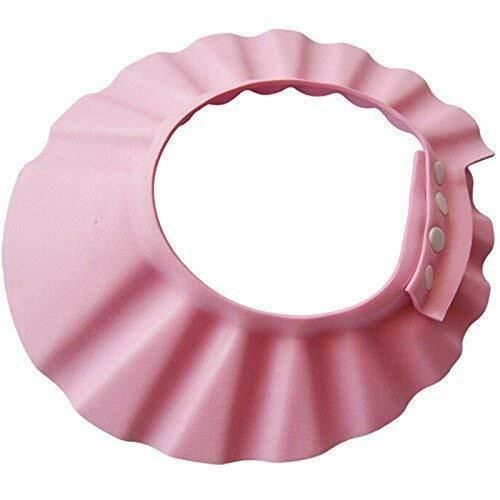 “Innovative designed baby shower cap to protect your child’s head, blocks water & suds from entering eyes and ears. 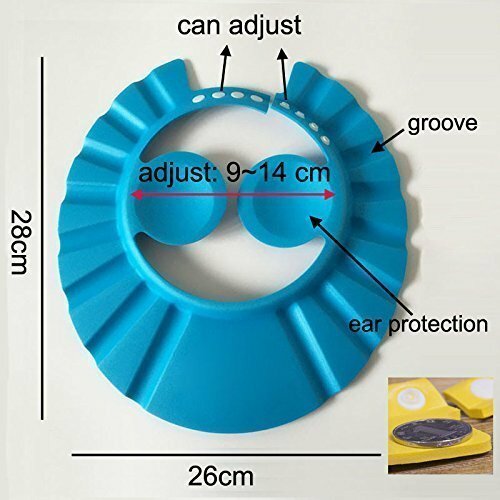 Specially designed ear protection flaps. Adjustable size to suit the toddlers and babies from 1 month to 60 month kids. 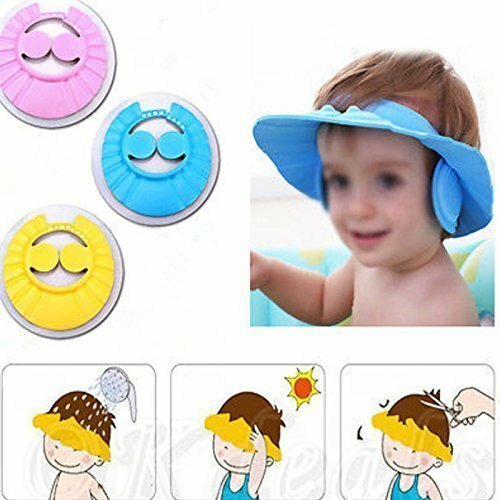 Provided with 4 pair of touch button system to adjust size as per baby’s head. 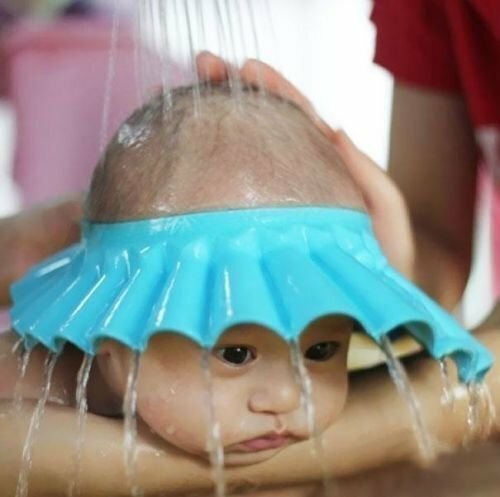 Baby will now never cry while bathing. Protects from shampoo and soap to enter baby’s eyes, ear and nose. 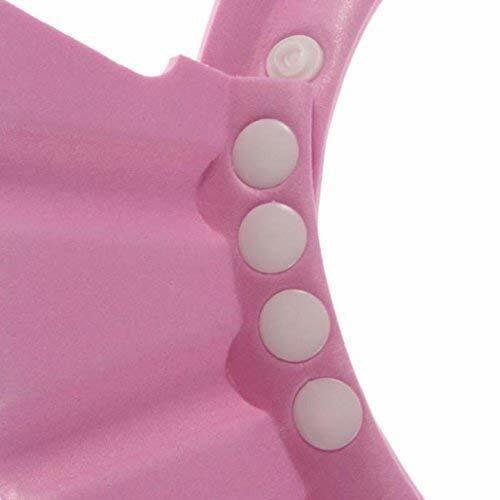 Made up of Waterproof Eva form material that is very soft and will not create any mark of baby’s head. 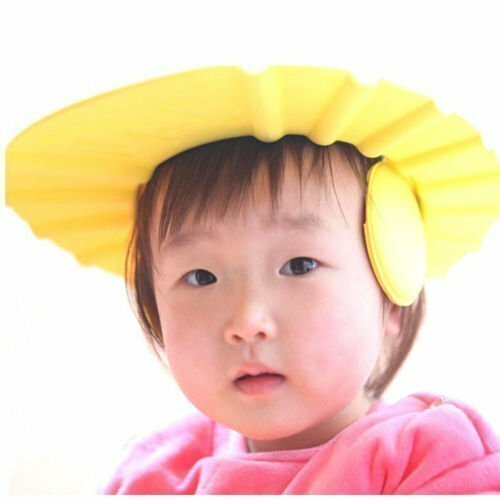 It is a multipurpose baby cap. 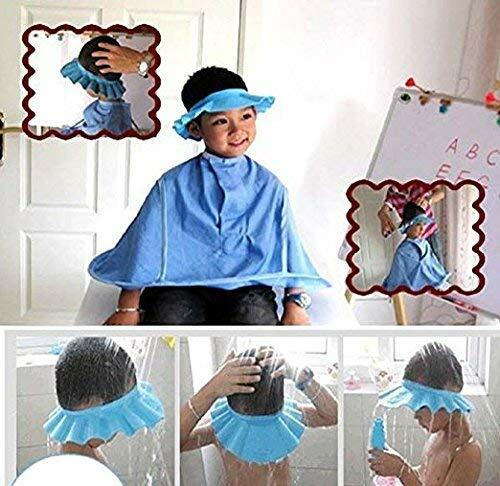 Not only for bath but can also be used while cutting baby hair or taking baby out in sunlight.